15 real-life lead magnet campaigns that have generated thousands of email subscribers for their creators. 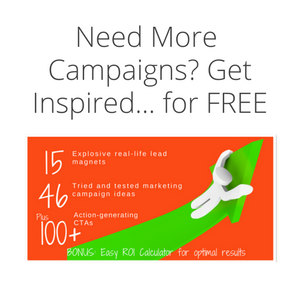 Pair up your campaign with one or more CTAs that you can A/B test or modify. All lead magnets are compiled from influential marketers. Copyright 2019 by CampaignTrackly & Leafwire Digital Ltd.